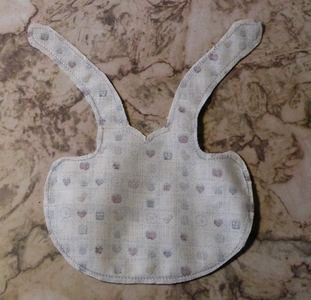 This pinny will fit dolls from 5" to 8". 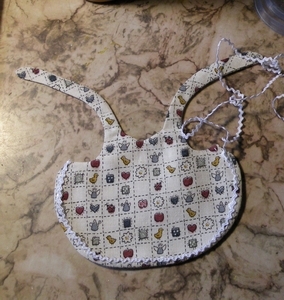 This serviceable Grandma's Apron is attractive and useful. 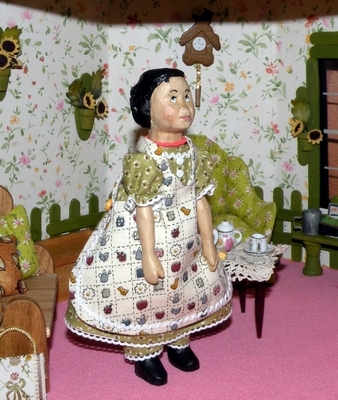 Hitty Petal's Pinny is sassy and cute! 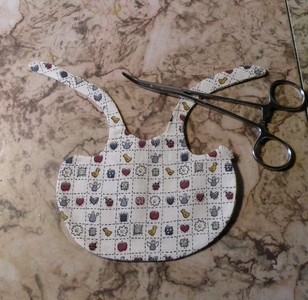 the template onto the fabric. This is your sewing line--do NOT cut this out yet. 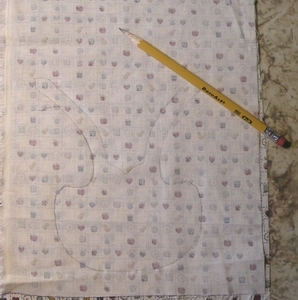 Tip: Use a pencil or a disappearing ink quilting pen. A real pen can leave marks in your seams. space open indicated on the template. Now you can cut this out with a 1/8th inch seam allowance. Turn right side out and press. Whip stitch the open seam shut. the easiest way to turn items right side out. poke out the edges. They will make a hole. Lay a thin bead of glue where you want the trim. my fingers as I do this step. Allow to dry before finishing. place, attaching the button at the same time. Check template for button position. Now you are done! Isn't that easy? I think this would look cute with a pocket! 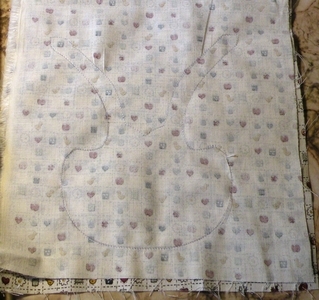 the template onto the fabric, as above. space open indicated by the red dots on the template. 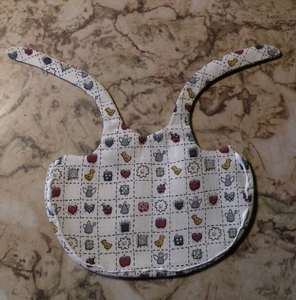 Cut this out with a 1/8th inch seam allowance. Clip inner curves and corners. 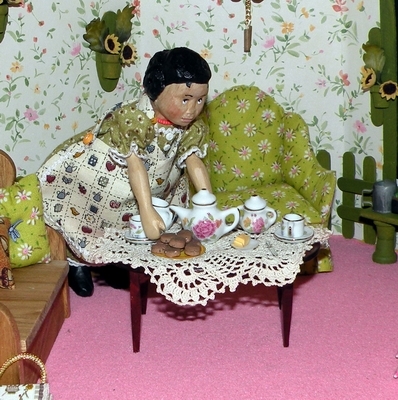 Fold in half lengthwise, right sides together. 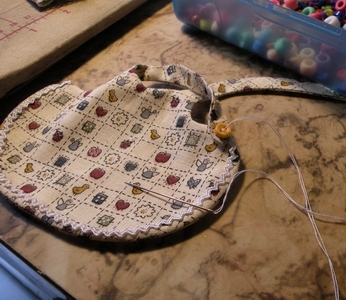 sew to other end, and then across end. Turn right side out and press firmly. Pin across apron front, either eyeballing it in or using the Strap Placement red box on template. ending off when you reach where you began.